All set up in Small Press L-08 and ready to start this amazing SDCC weekend! Come to see my geeky goodies! There is no happier moment than when you get the SDCC confirmation letter! July 18-22 SDCC here I come! I’ll be at Small Press L-08(same spot as the last 3 years)! Woot!! :D! Debuting at @comic_con are our new die cut logo stickers available in two versions! Swipe left to check them out! Thanks again to our friends @stickermule for making us look good! They will be available for purchase at Small press table L-08. Pre-Order Commissions for SDCC are NOW OPEN! 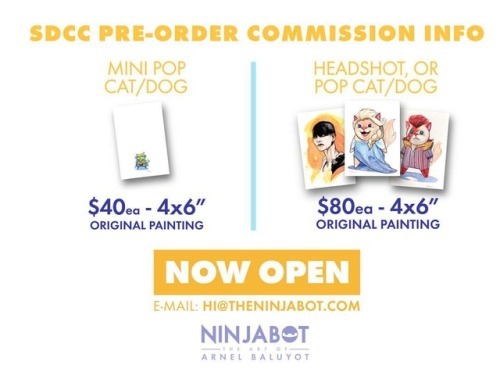 E-mail us at hi@theninjabot.com with your request today! Spots are filling up fast so don’t miss out on this! 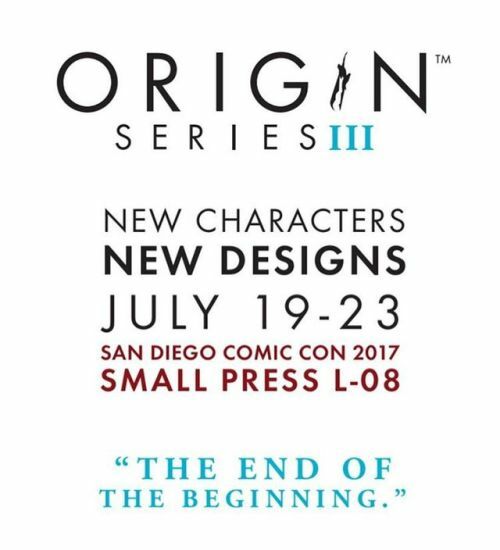 ORIGIN Part III, is coming out for San Diego Comic Con! We’re going to have new ORIGIN prints, but this will be the last release for them! We will have a pre-order available for SDCC, there will be no Kickstarter, it will be self-funded! More info about all of this coming in the next few weeks. What character stories are you hoping we do? Catch Magnetic Press at C2E2 2016! Comments Off on Catch Magnetic Press at C2E2 2016! The cast and crew of “Marvel’s Agent Carter” meeting fans at their signing at the #MarvelSDCC booth!